Welcome to 2017 Session 5 at Dive Volleyball! Your league e-mail was sent out on August 30th, if you have not received it, please e-mail us at MileHighSSC@gmail.com or call 303-923-5645 and we'll be happy to resend it to you! Registration for SESSION 5 is now open! Don't drop the ball - register for this session now! We are starting the league on 9/6! 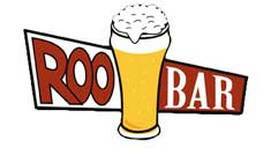 Visit Roo Bar before and after your games for great player-only specials! Your full season schedule will be available soon! Your tournament e-mail will go out Thursday, 10/12. If your team cannot make it, please let us know ASAP at MileHighSSC@gmail.com or 303-923-5645. All substitute players must be declared by Monday, 10/9 - please e-mail Mike at MileHighSSC@gmail.com with the player name, e-mail and phone # .